This is a sponsored article on behalf of London Fashion Weekend. 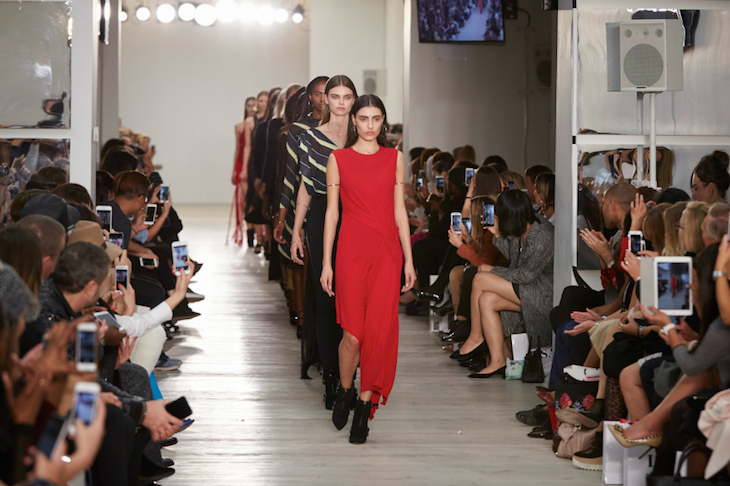 The unmissable date for every keen London fashionista is back: London Fashion Weekend returns to the Saatchi Gallery this February, following a stunning debut at the venue last autumn. 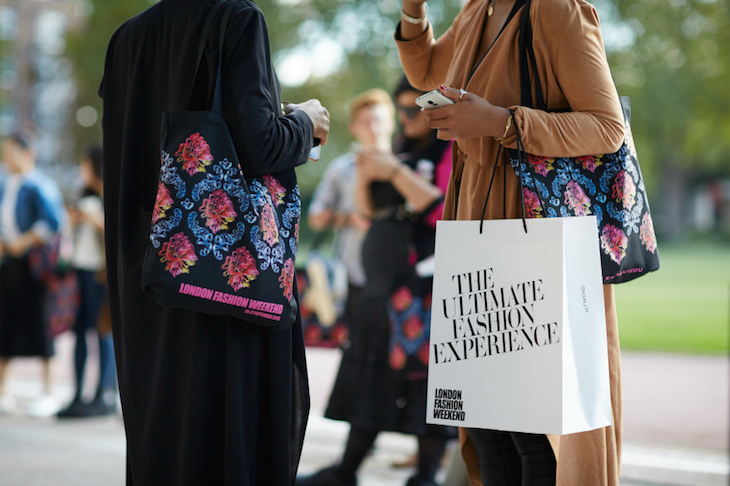 Expect four buzzing days of designer shopping, exclusive catwalks, industry talks and plenty of beauty treats. Even better, Londonist readers get an exclusive 20% off their tickets* by quoting the code LONDONIST at checkout. Tempting, huh? Read on and find out how to make the most of your LFWE ticket. The designer catwalk shows feature London Fashion Week's favourites Mary Katrantzou, Temperley London, Emilia Wickstead and Holly Fulton — this is a one-off chance to experience their SS16 collections up close. If you're looking for wardrobe inspiration, join one of the trend catwalk shows, developed by online shopping destination Very Exclusive. Showcasing ready-to-wear outfits from top designers, these shows feature the upcoming trends for the new season. After you've soaked up all the inspiration from the catwalks, it's time to treat yourself. The airy galleries on the ground floor will be transformed into a trendy pop-up boutique where you can browse 150 fashion designers — even better, all of them will have special discounted prices. 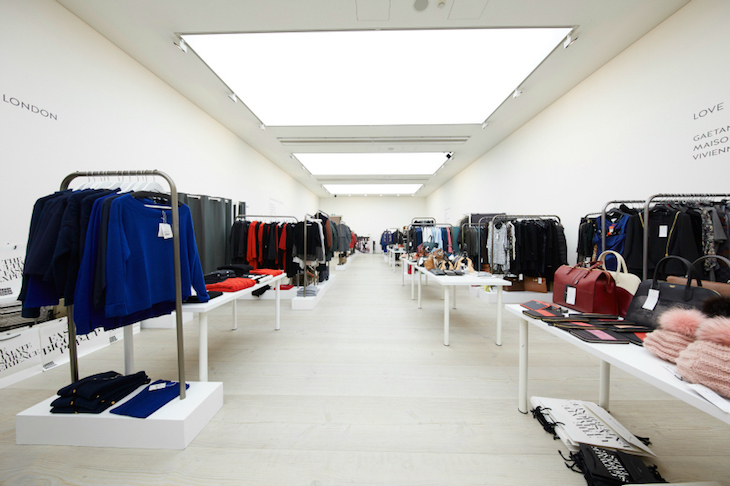 Names include Solace London, AX Armani Exchange, French Sole, Tada & Toy, Antipodium, Muubaa and Paper London. Complete your outfit with pampering beauty treatments from Maybelline and Toni & Guy, and ask advice from the professionals at Sunglass Hut. Whether you're thinking of starting your own brand or are just passionate about fashion, LFWE has a curated schedule of Q&A talks featuring industry experts: fashion designers, bloggers and editors, stylists, modelling experts and more. Discover the philosophy behind luxury shoe and accessory brand Charlotte Olympia, listen to fashion designer and stylist William Baker about the enduring relationship between music and fashion, and learn the art of creating fashion films from photographer Ruth Hogben. Some of the talks are included in the ticket entry and available on a first come first served basis while others can be booked in advance — make sure you check the full schedule before choosing your favourite one. Tickets are available in Bronze (£20), Silver (£40), Gold (£60), Luxe (£130) and Luxe Premium (£145) packages, each featuring a range of the above events. Decide what you want to see and choose the package that suits you. 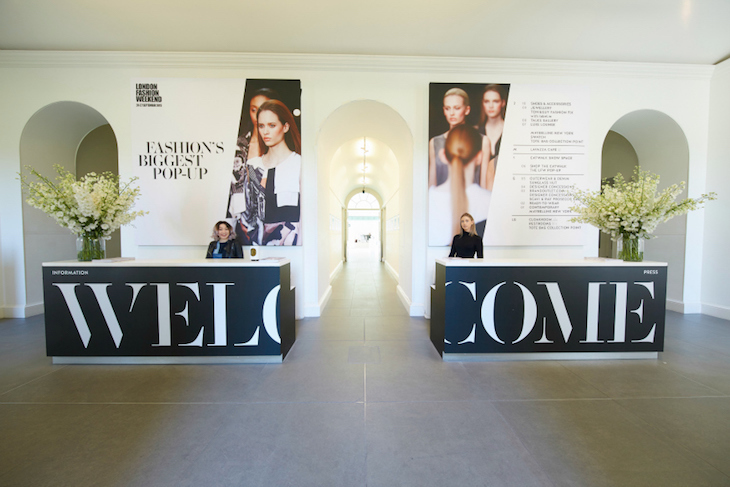 London Fashion Weekend takes place at Saatchi Gallery, Duke of York's HQ, King's Road, SW3 4RY between 25-28 February 2016. Visit the website for more information on the programme and to book tickets. *Offer not valid on LUXE and LUXE Premium tickets. Discount available on advanced booked tickets only. Booking and transaction fees apply.